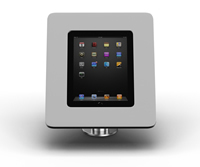 The new collection iTop Pro stand is available as floor stand, table stand, wall mount. 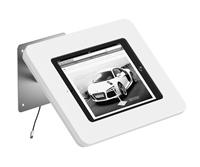 iTop BESTSELLERS According to our customers the best iPad stand in the market today! 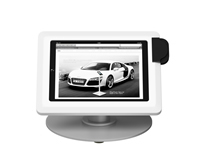 The iTop Secure iPad Floor Stand in combination with the iPad is ideal for product presentations at service desks, retail, hotel receptions, showrooms and expos. The front and back panels are ideal for branding purposes (also available as presentation desk). 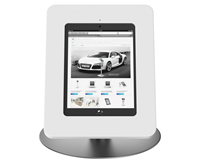 The iTop secure iPad Floor Stand in combination with the iPad is ideal for product presentations at service desks, retail, hotel receptions, showrooms and expos.